Creating a module for Magento 2 is very different from the “old” way that we are used to in Magento 1. Now that we have Composer at our fingertips, the storage of our module in the VCS is quite a bit cleaner, and we also don’t have to worry about code pools since they are by the wayside with M2. This also eliminates the need for third-party code management tools such as modman. If you don’t already have a Magento 2 development environment setup, be sure to check out our blog article on Magento 2 Development with Docker on OS X to get started with things quickly & easily. 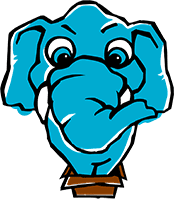 You’ll want to change your-name to the namespace you are using for your extension that is unique to you or your company. For example, at Mage Inferno, we use the inferno namespace. There are a few new things here. First, this file is named module.xml, not config.xml. module.xml replaces the file that was previously in M1 at app/etc/modules/YourName_FooBar.xml, and config.xml is now used for module configuration variables. Here, we are defining the schema that the XML file should follow. You can pretty easily follow what is going on here by opening up lib/internal/Magento/Framework/Module/etc/module.xsd and just taking a look around. By browsing through this file, we can see that we should define a module element with the required attribute name. This is what we are doing at <module name="YourName_FooBar" />. The setup_version property is actually optional, but if you don’t define it you will receive an “Attribute Missing” error. I’ve filed a bug with Magento to fix this, so this should work without setup_version soon. For open source Magento modules, you’ll want to go to https://packagist.org and register your namespace & repository for easy installation. Let’s first create a repository at either GitHub or Bitbucket, then we will push up our code. We want to use the Git HTTPS URL so Composer can easily download things without an SSH key. Of course you will want to change your-name to the name of your GitHub/Bitbucket username. After the code is pushed up, head to https://packagist.org, Register, and Submit your package. 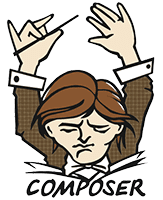 What this will do is find the Composer package we just registered, look up our GitHub code, download it to vendor/your-name/module-foobar, and move it to the location we defined in extra/map: YourName/FooBar. We need to tag our release with 0.0.1-beta so that it gets classified as a beta release and gets installed (if we don’t, it will be classified as dev and won’t be approved for our minimum-stability defined in M2’s main composer.json file). We can confirm our module is installed by going to Admin > Stores > Configuration > Advanced > Advanced, and expanding the “Disable Modules Output” tab. The YourName_FooBar extension should show in this list. 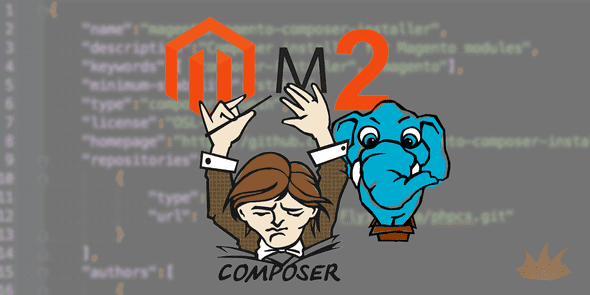 We hoped you learned a bit about how Composer & Packagist both work with Magento, and are willing to take the plunge into the great Magento 2 abyss. Stay tuned to Mage Inferno for related upcoming blog posts on creating more advanced modules.